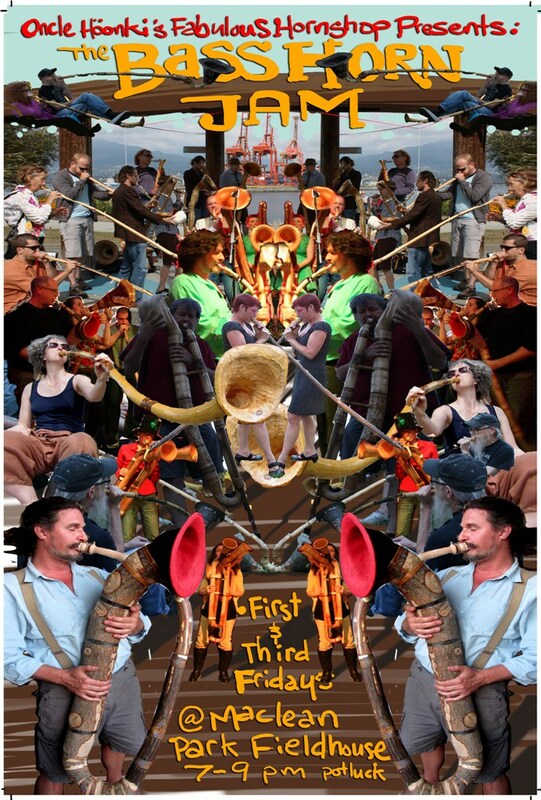 Desirous of a vehicle by which my community can practice low-register farty sounds on aerophones, I’ve scheduled an ongoing, twice monthly Friday night at Maclean Park Fieldhouse called ‘the Bass Horn Jam’. The inaugural event is Friday February 20th from 7 – 9pm. Potluck is encouraged as is your own mouthpiece. Leave your judgement at home.